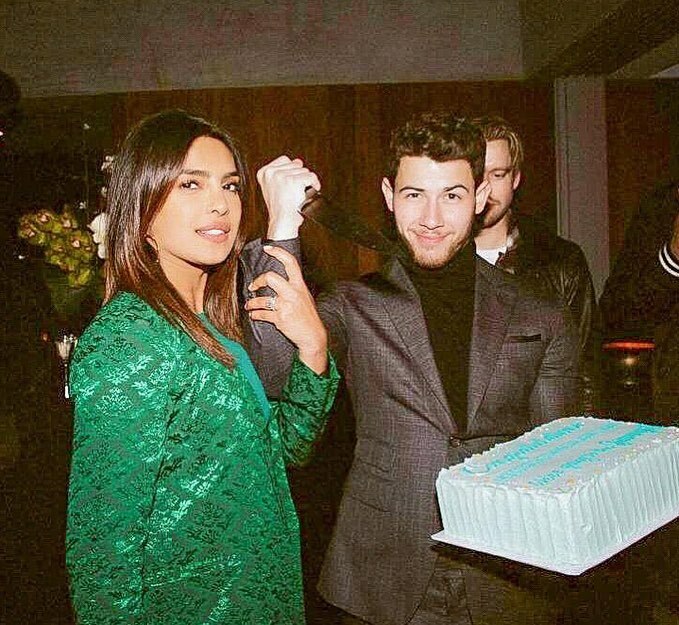 Priyanka Chopra and Nick Jonas seem to be enjoying their marital life and spending each and every moment happily together. Last night the two spent their evening dedicated to their friends who are nominated for Grammys. The duo danced, had fun and partied the night away with Shawn Mendes and close friends. The two could be seen looking absolutely great. In one of the photos, Priyanka could be seen doing the hook step of Gallan Goodiyan with a friend. Well, seems like the Desi Girl is on a mission to make everyone groove to her Bollywood numbers. On the work front, Priyanka has been busy promoting her own film, Isn’t It Romantic with her co-stars, Adam Devine and Rebel Wilson.